How Does the Ground Help Cool a Home? At this point, a lot of homeowners have discovered the benefits of using a heat pump. However, most homeowners will associate heat pump technology with the air-source heat pump, a system that closely resembles a traditional split central air conditioner in many ways. Now, air-source heat pumps are great—but they are not the only systems that allow you to cool and efficiently heat your home through the implementation of the heat transfer process. A geothermal system allows you to do so, as well. If you are unfamiliar with geothermal heating and cooling, then today’s post is for you! We offer outstanding geothermal services in Columbia, SC. The installation of these systems is uniquely complex, and you really need to be working with professional geothermal technicians if you hope to get the best and most reliable performance possible from your geothermal system. So read on, learn about how such systems operate, and reach out to our geothermal pros with any questions that you may have. Posted in Geothermal | Comments Off on How Does the Ground Help Cool a Home? We’ve certainly made no secret of our enthusiasm for geothermal technology here on this blog. We live in a great environment for the use of heat pumps, and ground-source heat pumps take the benefits of using heat pump technology to their limits. That being said, the installation of a geothermal heating (and cooling) system is a big undertaking. If you’re thinking about using geothermal heating in Columbia, SC, here are some factors to consider. Take Advantage of a Great Geothermal Tax Credit! If you’ve been following our blog — and we do hope you’ve been taking advantage of the information made available to you here — then you’ve realized that we are big proponents of geothermal heating and cooling. This technology helps countless homeowners to live in comfort with great convenience and affordability year round. Now is a better time than ever to start using geothermal technology on your property, as proven by the current tax credit available to homeowners. Should you decide that geothermal heating and cooling is right for you after reviewing this information, feel free to contact a member of our staff with any questions that you may have. We excel in the installation and servicing of geothermal systems in Irmo, SC. This deal is truly too good to let pass you by. Posted in Geothermal | Comments Off on Take Advantage of a Great Geothermal Tax Credit! We Are a WaterFurnace GeoPro Dealer! We are big advocates for geothermal heating and cooling systems here at Fulmer Heating & Cooling. While our relatively mild winter season means that using a heat pump of any kind — air source or ground source — is worth considering, geothermal heat pumps really set themselves apart when it comes to achieving great efficiency without sacrificing one iota of comfort. We also set ourselves apart when it comes to the geothermal services that we offer, as evidenced by our status as a WaterFurnace GeoPro dealer! Whether you need a brand new geothermal system installed, or an existing system repaired, we’re the professionals to call. Do not hesitate to dial our number. Working with us means that you’ll enjoy efficient comfort all year long. Posted in Geothermal | Comments Off on We Are a WaterFurnace GeoPro Dealer! Replacing Your Heater Before Winter Arrives? Consider Geothermal! It may be easy to forget during the summer season, when temperatures and humidity soar, but the winter weather in our area can be quite cold and uncomfortable. With fall approaching in the very near future, you are wise to get your heating replacement out of the way as soon as possible. If you are seriously considering replacing your heater this year, then you are also wise to consider your heating options carefully. We encourage homeowners throughout the area to give geothermal heating some attention before deciding upon their new heating system. Geothermal systems have much to offer, as you’ll learn a bit more about below. If you decider that geothermal is a good fit for your needs, be sure to take advantage of the 55% combined tax credit on new geothermal system installations! Posted in Geothermal | Comments Off on Replacing Your Heater Before Winter Arrives? Consider Geothermal! Why Schedule Routine Geothermal Maintenance? Do you own and operate a geothermal heating and cooling system on your property? If so, then you already know just how outstanding of a system that the geothermal heat pump truly is. However, you must also keep in mind the fact that your geothermal heating and cooling system in Newberry, SC is only going to function at peak performance and efficiency levels if it is well-maintained. With that in mind, we strongly urge you to schedule your geothermal maintenance services with the pros on our staff. In doing so, you ensure that your system will be in the best working condition possible at all times. Posted in Geothermal | Comments Off on Why Schedule Routine Geothermal Maintenance? 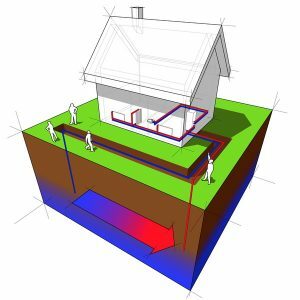 What Is a Geothermal Loop System? We’ve mentioned in previous posts that the geothermal heating and cooling system is a truly exceptional way in which for homeowners to both heat and cool their homes in an efficient, environmentally friendly manner. Today, we’d like to take a closer look at one of the components that allows the geothermal system to so greatly benefit homeowners: the geothermal loop system. Because geothermal systems both draw heat out of the ground and return it there again, they must have a means by which to facilitate this heat transfer. The geothermal loop is that very means. Read on, and be sure to contact us with any questions that you have regarding the use of a geothermal system in Columbia, SC. Posted in Geothermal | Comments Off on What Is a Geothermal Loop System?